This Browne-Halco 25 gauge stainless steel steam table pan is ideal for keeping food warm while serving. The stainless steel construction provides a way to trap heat into the pan to keep food warm for long after it's taken off a burner. Stainless steel is better capable of retaining heat than polycarbonate food pans, making it the choice for restaurants to use in a buffet line. The anti-jam construction makes this pan one that can be grabbed quickly from storage. 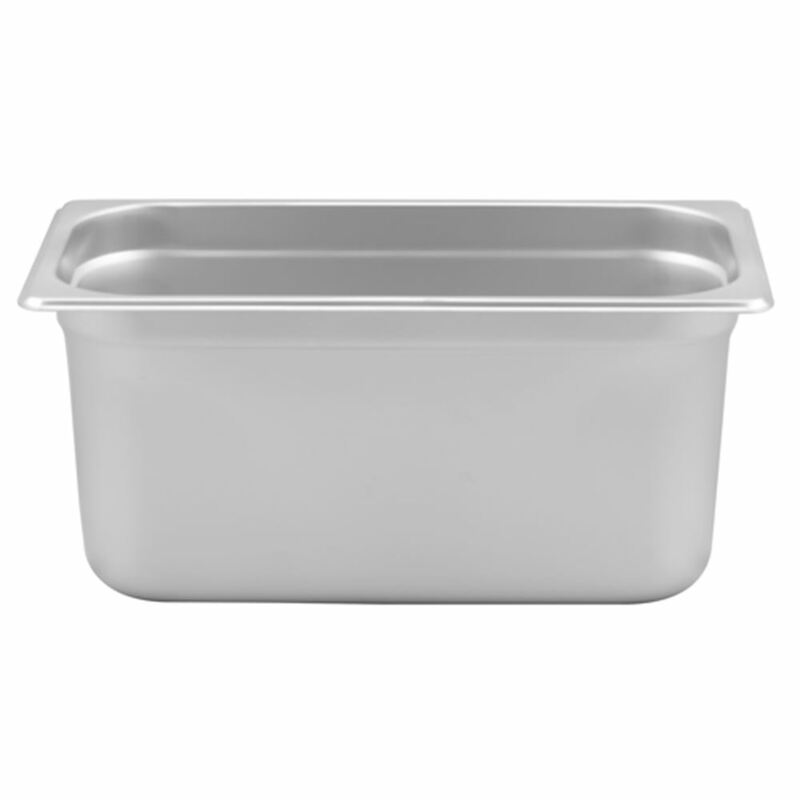 When you store this pan inside of other pans in the 1/3 size, you won't have to worry that it will get stuck. Though the material is just 0.5 mm thick, it features a reinforced edge along the top perimeter to give it extra stability when carrying or placing in a steam table. This reinforcement creates the perfect way to add a bit more security while not compromising the weight of the entire pan. When choosing pans for your steam table, you don't want a pan so heavy on its own that when you place food inside of it, the weight becomes unbearable. This Browne-Halco pan would be sure to be a great addition to your kitchen tools.